"Tuwing Umuulan at Kapiling Kaaaaaa..." is not a song I want to sing to mosquitoes pestering us this rainy season! Ang dami nilaaaa... and I HATE mosquitoes sobra! In somehow the same intensity, I also hate roaches and flies. Ang nega ng starting statement of this post, pero sige, who loves them? May kilala ka? Hahaha! This rainy season, there are a lot of diseases and allergies that may rise and one of the common and fearful diseases is Dengue. And where do you get Dengue? From Dengue-carrying mosquito bites. It's something I'm serious about especially I have kids. I think everyone should take this seriously whether you're a parent or not. It poses a risk on our health which could even cause death. Nakakatakot talaga. The mosquito eggs kasi are laid in water, lalo na in stagnant water. This happens a lot more when it's the rainy season because we sometimes don't notice the water filled and stagnated in some containers outside our homes. I've done everything I can in my powers to repel these disease carrying mosquitoes. I've used insect repellent lotions, citronella candles, citronella oils, insect repellent sprays, insect repellent patches, to prevent mosquito bites. But to repel is not enough for me, both mosquitoes and roaches, and even the pester flies. I need to get rid of them. But I cannot always clap without rhythm in the air and catch the mosquitoes to kill them. I also cannot always hit roaches with the nearest footwear I could get my hands on and hear the splat of its roach juice. And I cannot always roll a newspaper to swap the irritating flies whenever I'm in the middle of a meal. Nakaka-stress yun! Plus kadiri too diba? Buti na lang I now have a license to KILL!!! 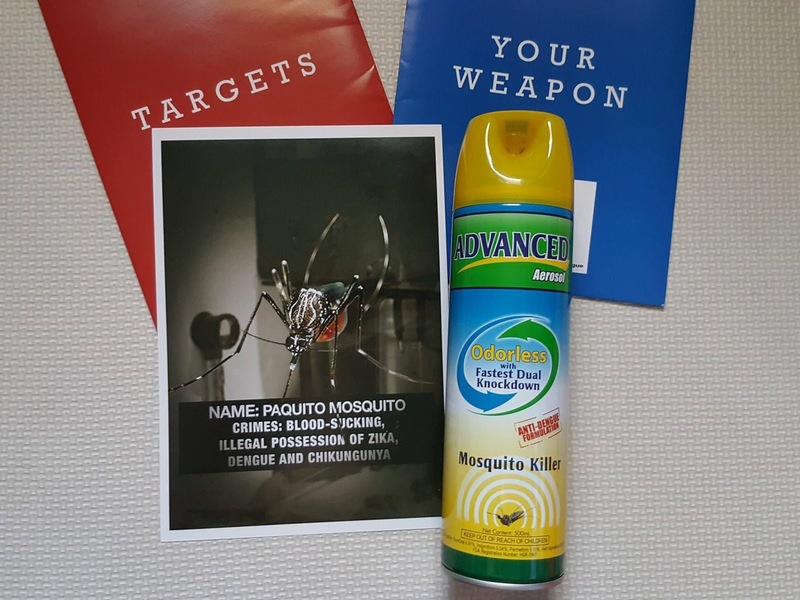 The license was given to me by ADVANCED Aerosol Multi-Insect Killer and ADVANCED Aerosol Mosquito Killer. I don't know if you'd find it weird but I take pleasure in seeing these dangerous and filthy insects eradicated - as in DEAD. I've long stopped using aerosols because it smells awful when sprayed into the air or the corners of the house. Some brands promise to be odorless, but actually they're not. Since I have kids, the scent of chemical may also be dangerous to them. With ADVANCED Aerosols, odorless talaga sila! Amazing lang. There are two variants by the way, one is solely dedicated to killing mosquitoes. This is the one that comes in yellow cover/top. The other one with blue top is an multi-insect killer. This one's a tough weapon against the pests like cockroaches and flies and also effective against mosquitoes. I call these my lifesavers, my weapons against these unwelcome pests inside the house which may endanger the lives of my family, lalo na mga kids. #1 It's the FIRST real Odorless Multi-Insect Killer that began the odorless fight against mosquitoes, cockroaches, and flies. It is tries and tested to be effective making it the trusted choice by many when it comes to eradicating insects. #2 It's FAST in knocking out and killing the insects because of its fast-acting ingredients which delivers 100% knockdown against disease carrying mosquitoes (Dengue, Zika, and Chikungunya) and cockroaches (Sepsis, Leprosy, and Diarrhea). One session of spraying of ADVANCED at home, you'll see the knocked down insects on the floor. #3 It's ODORLESS. 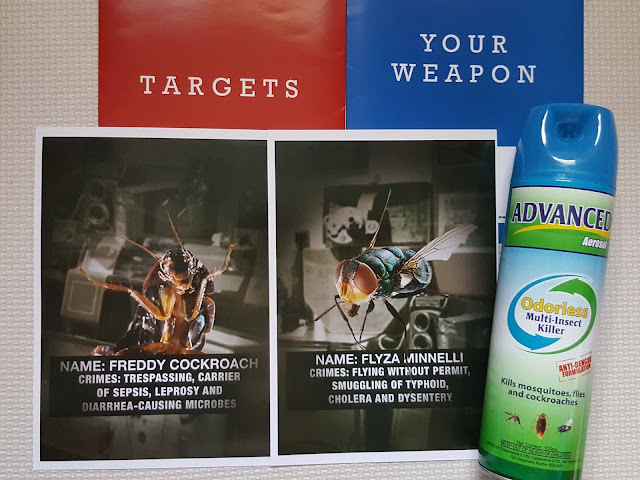 One of my fears using insect sprays is the foul odor of the chemical. But when I tried ADVANCED the first time two years ago, wow, it's a real deal odorless talaga. It's proven to be a powerful weapon against dangerous insects without the irritating smell which is offensive to our sensitive noses, especially the kids. #4 It's BUDGET-FRIENDLY - Practical moms would agree that we want a product that is proven to be effective in doing its job without hurting our pockets right? Well for insect killers, this is a perfect choice. Compared to other brands, this is very economical which comes in different sizes: 600ml, 500ml, and 300ml. Swak siya talaga sa budget! 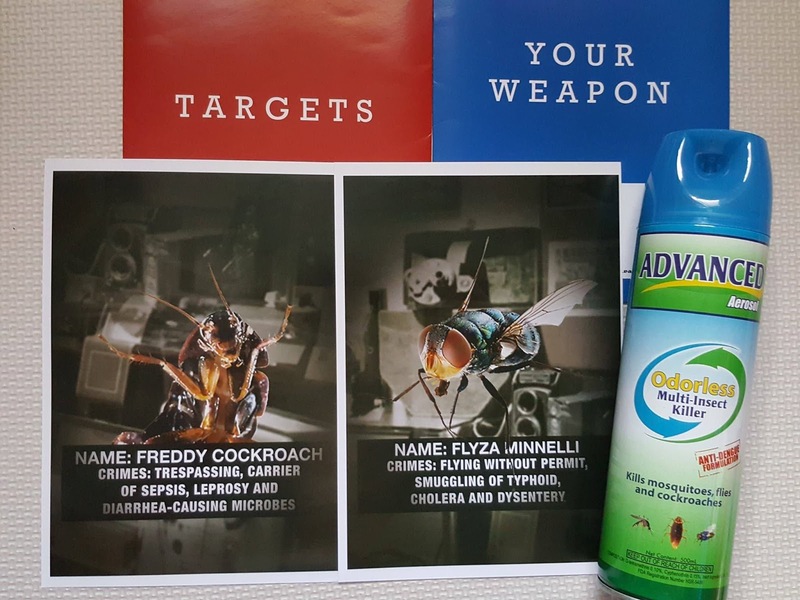 Spray directly at mosquitoes/roaches/flies or into the air. I say the most common area they hang out are in the bathroom, the laundry area, and garden. These areas are damp, mosquitoes favorite place. For cockroaches, they could be found in dark like the kitchen, under the refrigerator or stove, in cabinet voids. So spray there! For best results and longer lasting effect, close all doors and windows before spraying, then wait for 30 minutes before re-entering the sprayed area. Don't spray near humans, pets, food, and utensils. Make sure you wash hands thoroughly after spraying. Store properly away from children's reach and in a dry and cool place. It's flammable so don't throw empty can into fire. 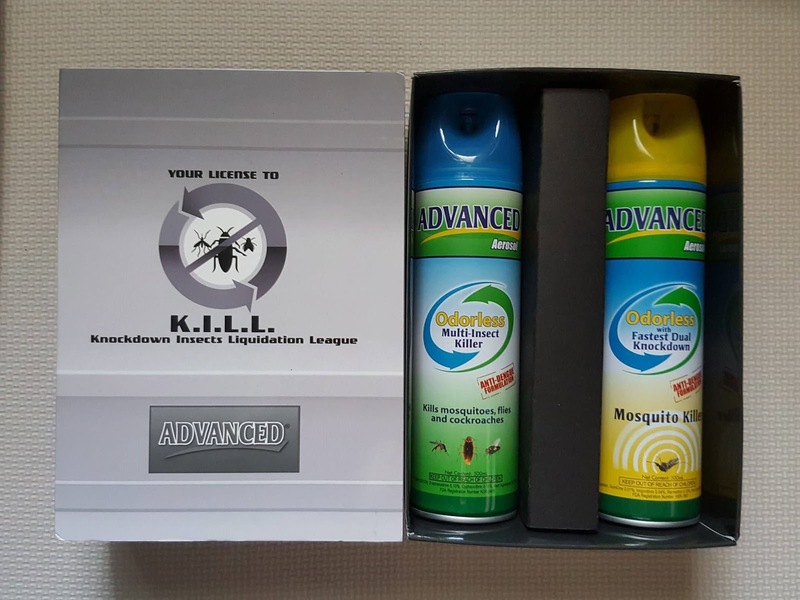 So there mommies, you now have a license to KILL with Multi-Insect Killer and ADVANCED Aerosol Mosquito Killer. Available in leading supermarkets nationwide. For more information about this product, visit www.neumannphilippines.com or email customercare@neumann.com.ph.